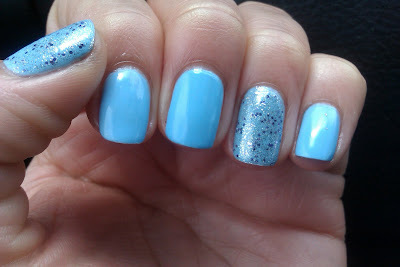 Early this week, Marta @ Chitchat Nails did a post with a baby blue polish. I said to myself I NEEDED a baby blue .. turns out I had one... It didnt come as light as it looked in the bottle but it will do. Here are some pics, the quality is not so great as there is no sunshine today..
PS: Hope Everybody has a great weekend!!!! 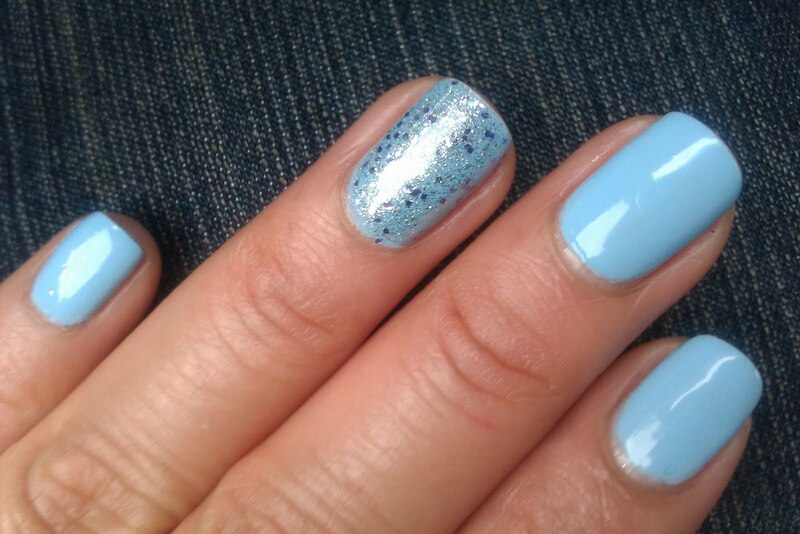 wow, this is a gorgeous blue, love it! love that blue! & accent finger! i need to try this! Baby blues are my favorite polish color and this one is adorable! 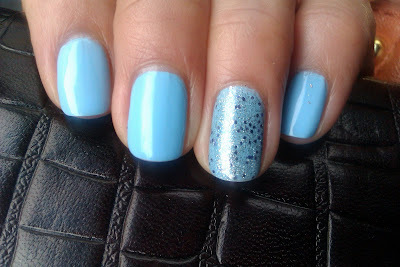 very nice I have wanted to get a color like this but never have! Hi sweetie! I love your mani!!! Very nice! I've not seen L&B bottles like that; love the cap. That looks so so cute!! Gimme Some Glitter.... Pink Wednesday!!! !